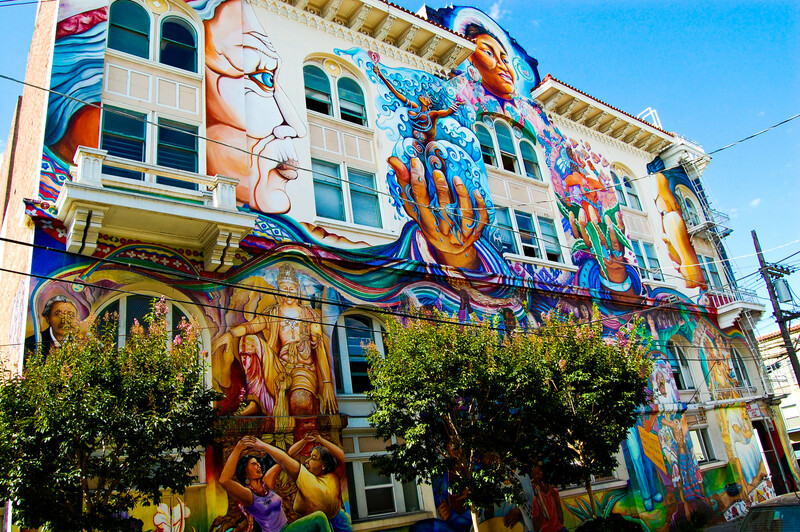 This entry was posted in The Women's Building History and tagged Mothering the Movement: The Story of the San Francisco Women's Building, Sushawn Robb, the women's building. Bookmark the permalink. 10 Years ago I came to SF from the UK. i was a committee member for the Sutton Women Centre in London and decided to visit you and find out what you were doing. Sutton Women centre is a small, charing little building down a little road with a small plague announcing the occupants. I was scared I would not be able to find you. Did I find you, oh yes. The building was not to be missd, what a pure JOY. I have never forgotten. As we are starting a section on my site ( http://www.jannykostercreative.com ) about murals/street art/grafitti, what other choice that to start it with the picture I took then. I hope your building is what we call ‘listed’ ( protected) and when the book is publishes, I will gladly buy a few copies.